Discontinued - can use # B-12665 as replacement on electronic solid-state (SS) games. No replacement for use on electro-mechanical (EM) games. 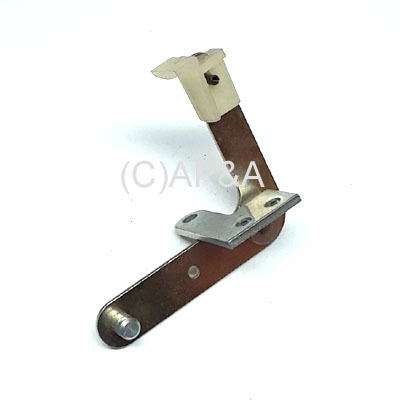 Slingshot kicker arm assembly used in early Bally electronic solid-state (SS) pinball games. Includes kicker arm with white nylon tip, and pressed-on pivot/mounting bracket.